Arrrrggggg!! Being a pirate has never been so fun! This week was packed with wonderful activities that the children had so much fun with! For a science activity, the children pretended to be looking for sunken treasures by placing items in water and observing if they would sink or float. 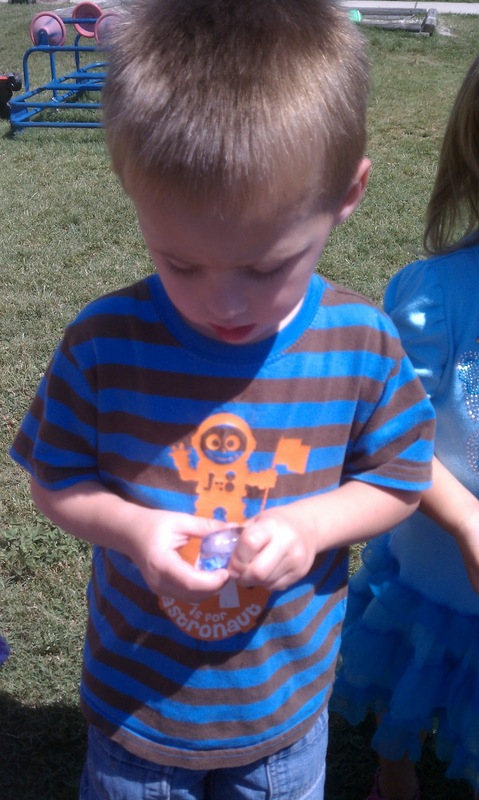 They even made their very own rock treasures to take home with them. These look just like gold, right?! To really get into character, we made pirate costumes with eye patches, bandannas, hooks, and a pirate hat. Some children even brought items from home for Show And Tell. The cooking project this week was Pirate Treasure Chest Muffins. The children made muffins and once they were baked, they opened them and put pieces of cut up grapes inside to look like treasures. YUM! Time to switch gears and pretend to be a Cowboy!! This week, the children learned about what it would be like to be a cowboy. They talked about cowboy hats and bandanas and even did a math activity to let about symmetry while talking about the bandanas. 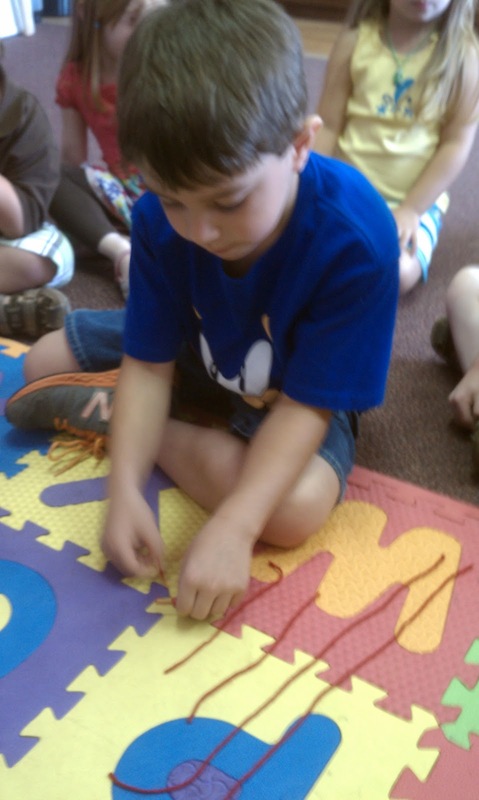 For another math activity, children had to order lengths of rope from shortest to longest. 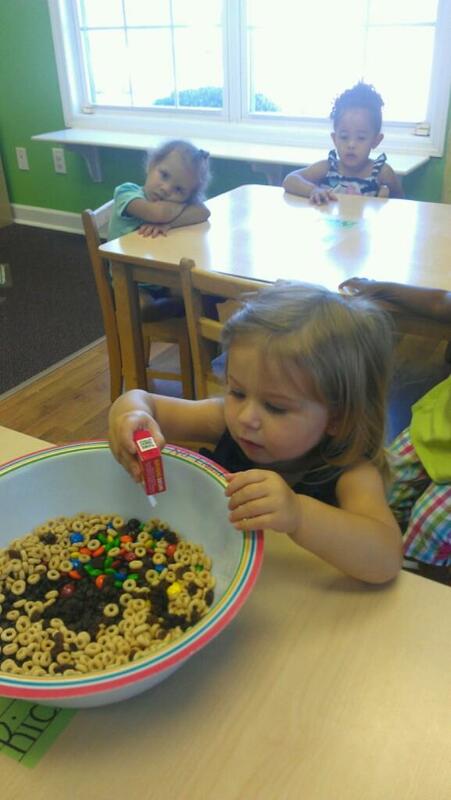 The classrooms made Trail Mix to enjoy for snack just like cowboys might do! Our letter for the week was "s". Some made "s is for snail" while others practiced the letter "s" by gluing beans to a written letter. 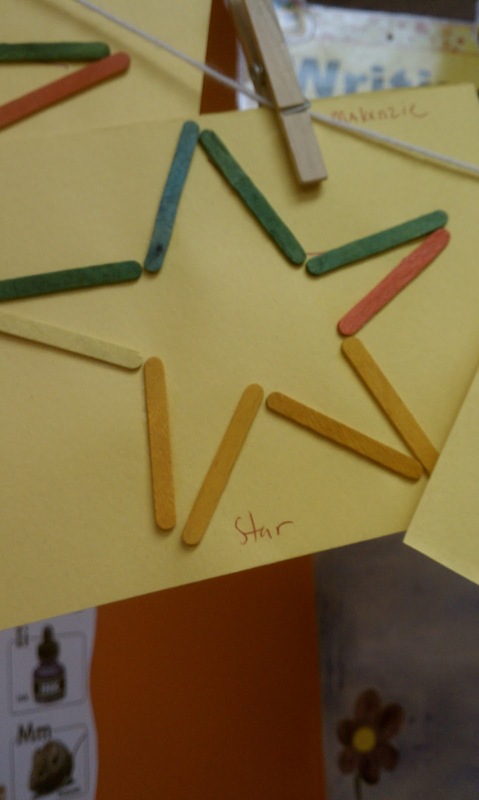 To practice the shape of the week, children glued popsicles together to make a star. We had a great time pretending to be Way Out West! 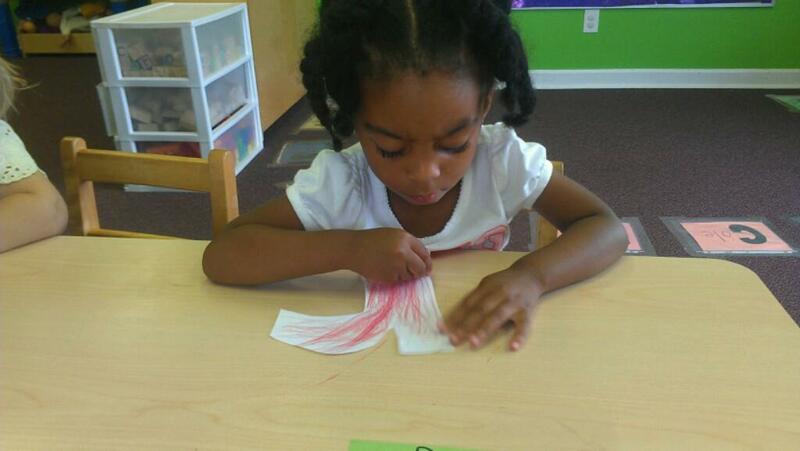 This week we got to really use our imagination! We pretended all week to go on a camping trip together! The children learned about the great outdoors and even what makes a shadow! 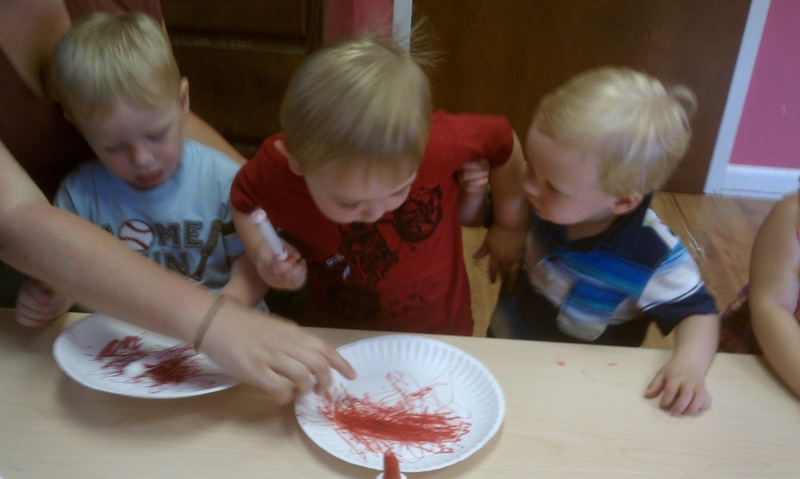 To demonstrate this, they played with flashlights and tried to make shadows themselves! 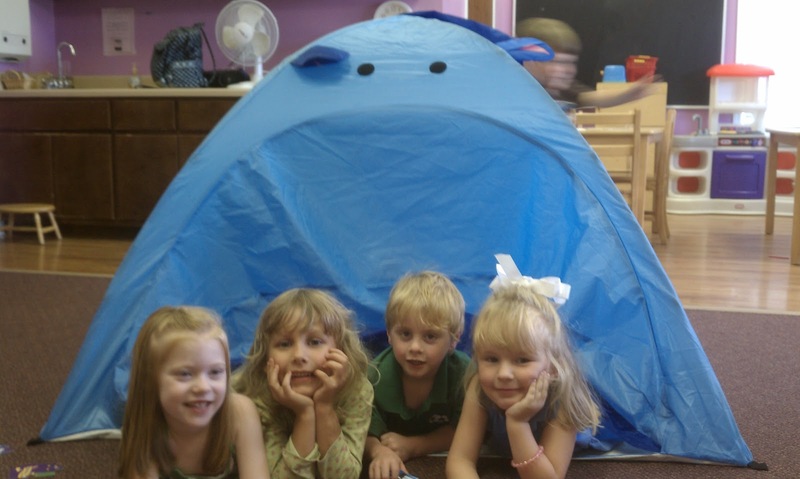 One of the classrooms set up an actual tent in their room to make a special place for quietly reading books. 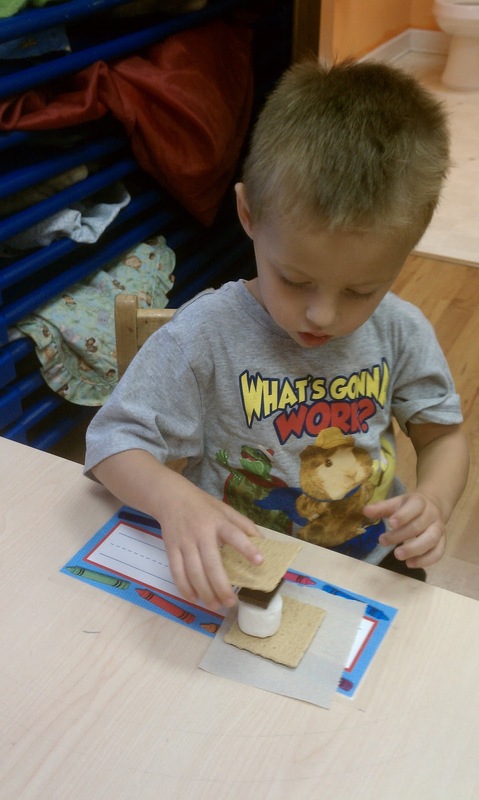 For our cooking project this week, the children made S'Mores! It really doesn't get much better than graham crackers, chocolate, and marshmallows! Of course we can't wrap up the week without some work on our letter of the week, "r". The children made "r is for rooster" which of course is RED! 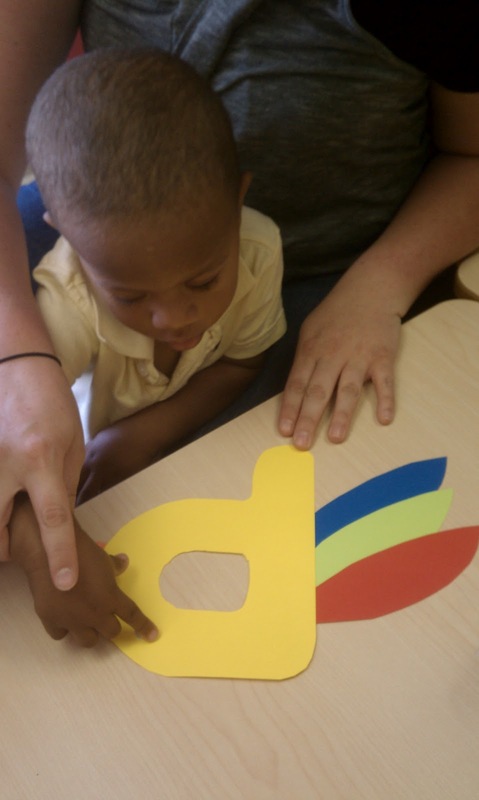 It's the start of our summer program and we couldn't be more excited! We are kicking it off with something we all love- FOOD! This week, we learned about several different cooking techniques. 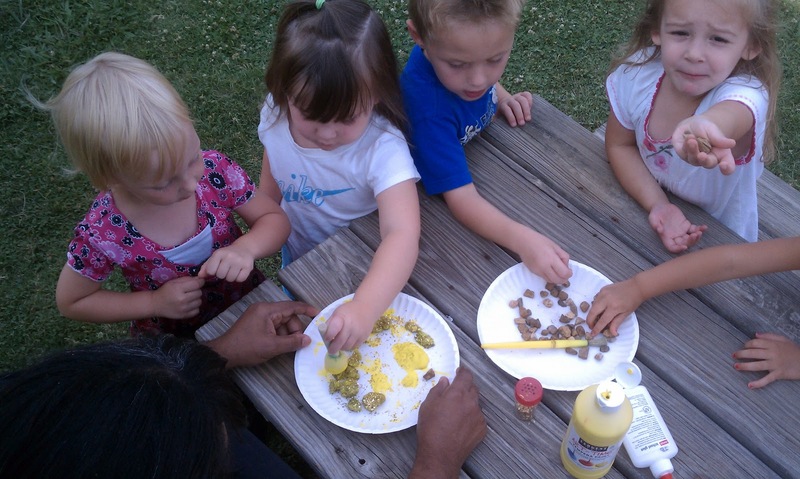 The children also learned how to follow several different recipes to make some yummy foods to try! 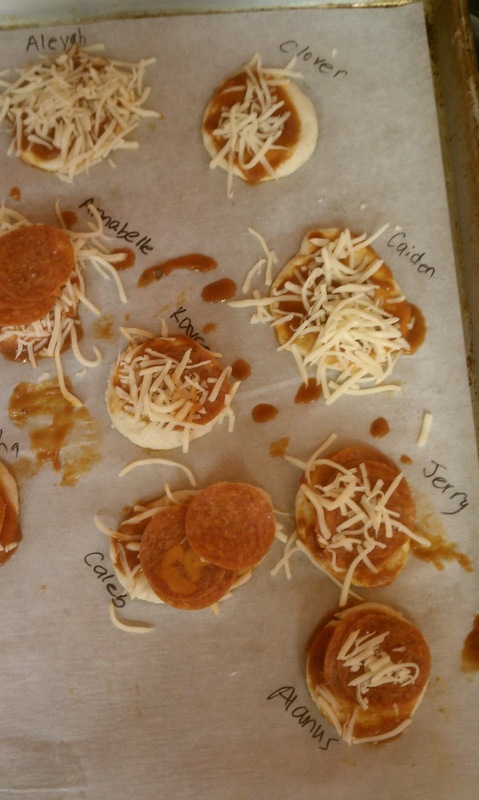 Mini pizzas made by our wonderful little chefs! 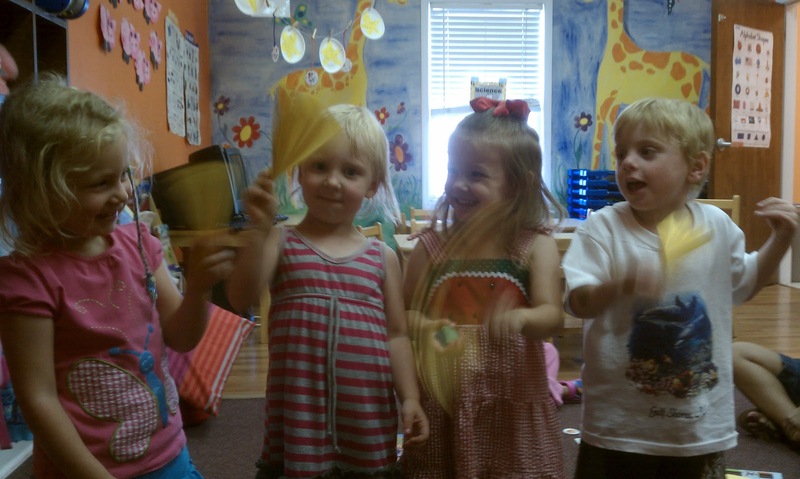 Many of the classrooms made their own Chef outfits by making hats and aprons! 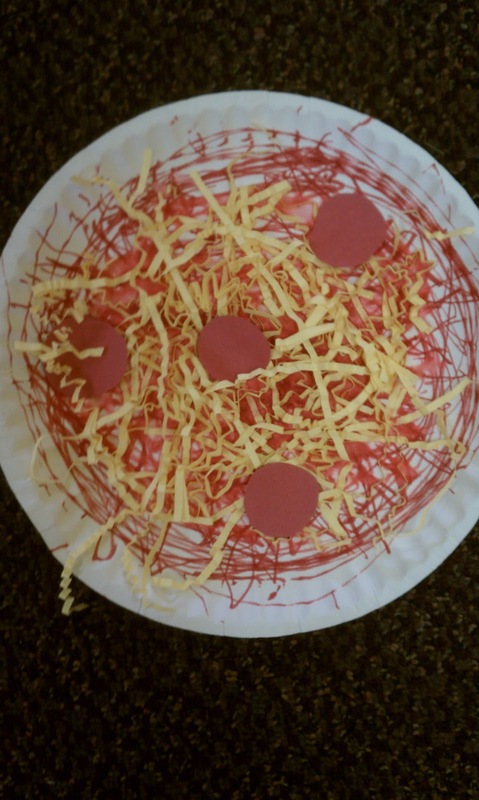 For one of the neat crafts this week, the children made a Paper Plate Pizza- looks delicious! 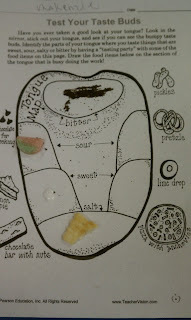 The three year old classroom learned about their taste buds and how some things taste sweet while others taste salty! 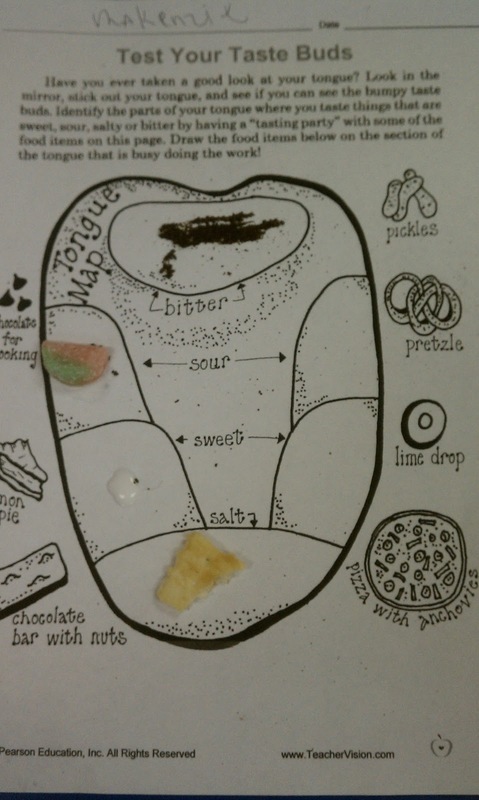 They had a lot of fun tasting the different items. We had such a great time making and tasting some wonderful treats this week! Summer is finally here! We are so excited for some fun in the sun but are fearful of the hot days that come with it! The children talked about all the different things that make up summer- things they could do, what to wear, what the weather is like, etc. 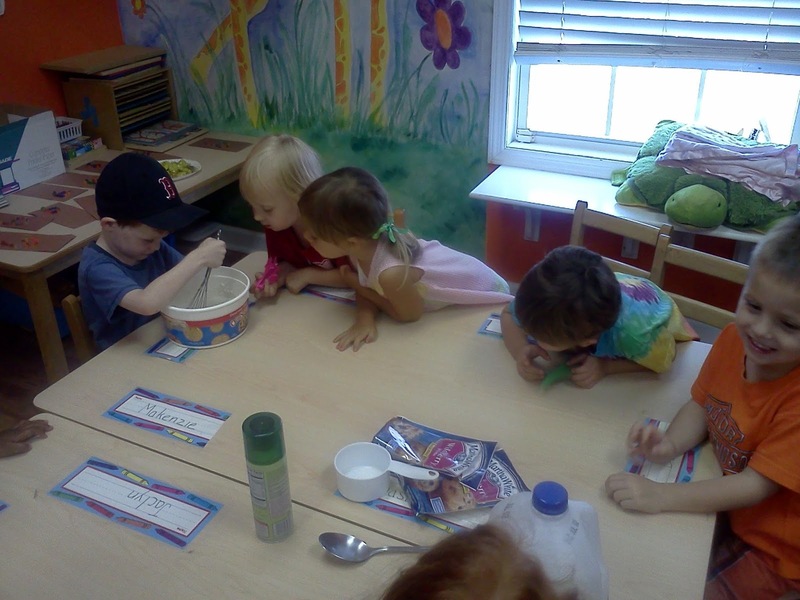 Some of the classes put little teddybears in ice trays, added water, and let them freeze in the freezer. Then, they took the pieces of ice to the playground and tried to get out the bears. 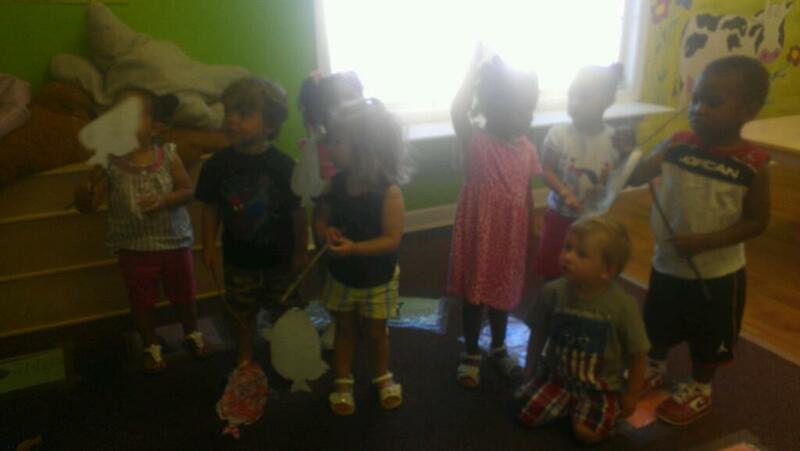 With all the playing outside, our Pre-K class caught a frog! They made a habitat for it and brought it inside to observe for the day. They let their little friend go at afternoon recess! 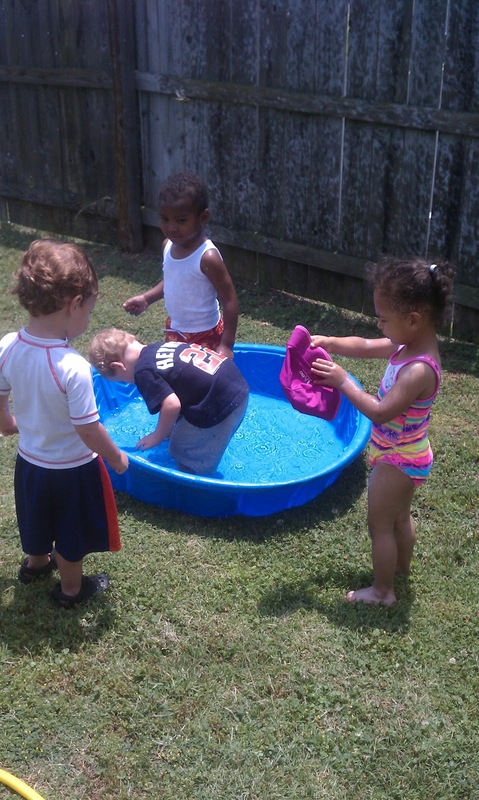 The 2 year olds had a water play day and played in a wild and wacky sprinkler and a baby pool! They had so much fun playing in the water! 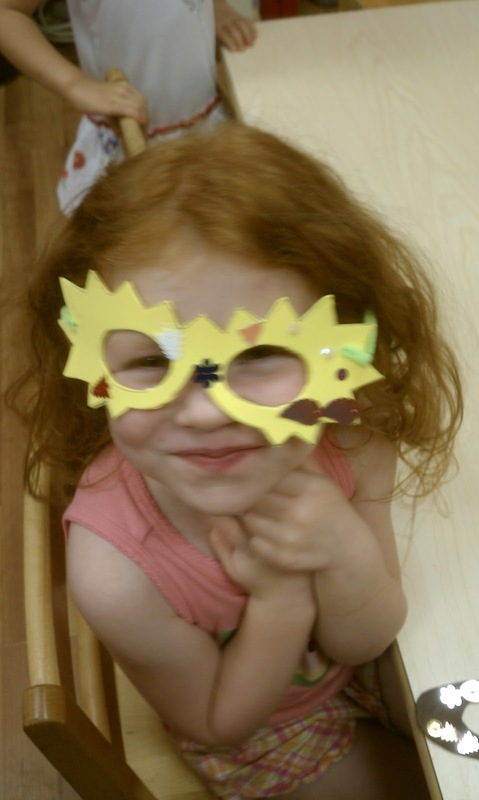 We also had some fun inside making fans to cool us off in the summer and some fun sunglasses. 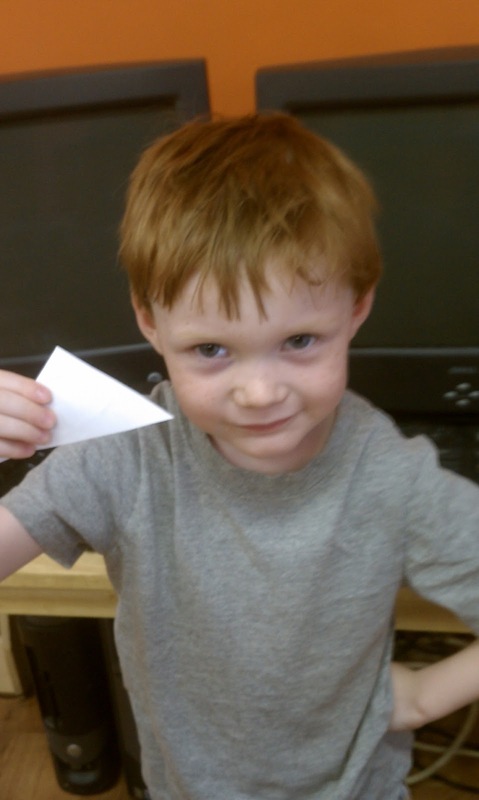 Of course, even with all the fun, we can't forget our letter of the week- p!